The presidency was a largely ceremonial position. There was no salary. The primary role of the office was to preside over meetings of Congress, which entailed serving as an impartial moderator during debates. When Congress would resolve itself into a Committee of the Whole to discuss important matters, the president would relinquish his chair to the chairman of the Committee of the Whole. Even so, the fact that President Thomas McKean was at the same time serving as Chief Justice of Pennsylvania, provoked some criticism that he had become too powerful. According to historian Jennings Sanders, McKean's critics were ignorant of the powerlessness of the office of president of Congress. The president was also responsible for dealing with a large amount of official correspondence, but he could not answer any letter without being instructed to do so by Congress. Presidents also signed, but did not write, Congress's official documents. These limitations could be frustrating, because a delegate essentially declined in influence when he was elected president. Lacking specific authorization or clear guidelines, the presidents of Congress could with some discretion influence events, formulate the agenda of Congress, and proded Congress to move in directions they considered proper. Much depended on the incumbents themselves and their readiness to exploit the peculiar opportunities their office provided. Congress, and its presidency, declined in importance after the ratification of the Articles of Confederation and the ending of the Revolutionary War. Increasingly, delegates elected to the Congress declined to serve, the leading men in each state preferred to serve in state government, and the Congress had difficulty establishing a quorum. President Hanson wanted to resign after only a week in office, but Congress lacked a quorum to select a successor, and so he stayed on. President Mifflin found it difficult to convince the states to send enough delegates to Congress to ratify the 1783 Treaty of Paris. For six weeks in 1784, President Lee did not come to Congress, but instead instructed secretary Charles Thomson to forward any papers that needed his signature. As the people of the various states began debating the proposed United States Constitution in later months of 1787, the Confederation Congress found itself reduced to the status of a caretaker government. There were not enough delegates present to choose St. Clair's successor until January 22, 1788, when the final president of Congress, Cyrus Griffin, was elected. Griffin resigned his office on November 15, 1788, after only two delegates showed up for the new session of Congress. Prior to ratification of the Articles, presidents of Congress served terms of no specific duration; their tenure ended when they resigned, or, lacking an official resignation, when Congress selected a successor. 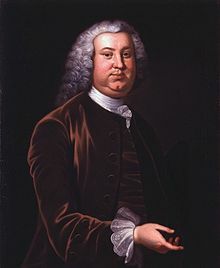 When Peyton Randolph, who was elected in September 1774 to preside over the First Continental Congress, was unable to attend the last few days of the session due to poor health, Henry Middleton was elected to replace him. When the Second Continental Congress convened the following May, Randolph was again chosen as president, but he returned to Virginia two weeks later to preside over the House of Burgesses. John Hancock was elected to fill the vacancy, but his position was somewhat ambiguous, because it was not clear if Randolph had resigned or was on a leave of absence. The situation became uncomfortable when Randolph returned to Congress in September 1775. Some delegates thought Hancock should have stepped down, but he did not; the matter was resolved only by Randolph's sudden death that October. Ambiguity also clouded the end of Hancock's term. He left in October 1777 for what he believed was an extended leave of absence, only to find upon his return that Congress had elected Henry Laurens to replace him. Hancock, whose term ran from May 24, 1775 to October 29, 1777 (a period of 2 years, 5 months), was the longest serving president of Congress. The length of a presidential term was ultimately codified by Article Nine of the Articles of Confederation, which authorized Congress "to appoint one of their number to preside; provided that no person be allowed to serve in the office of president more than one year in any term of three years". 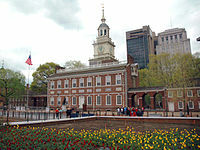 When the Articles went into effect in March 1781, however, the Continental Congress did not hold an election for a new president under the new constitution. Instead, Samuel Huntington continued serving a term that had already exceeded the new Term limit. The first president to serve the specified one-year term was John Hanson (November 5, 1781 to November 4, 1782). December 9, 1778 7002403000000000000♠1 year, 38 days President, S.C. Provincial Congress, Vice President, S.C. The President of the United States is scarcely in any sense the successor of the presidents of the old Congress. The presidents of Congress were almost solely presiding officers, possessing scarcely a shred of executive or administrative functions; whereas the President of the United States is almost solely an executive officer, with no presiding duties at all. Barring a likeness in social and diplomatic precedence, the two offices are identical only in the possession of the same title. ^ a b Ellis 1999, p. 1. ^ Morris 1987, p. 101. ^ Jillson & Wilson 1994, p. 71. ^ Jillson & Wilson 1994, pp. 71–73. ^ Jillson & Wilson 1994, pp. 75, 89. ^ Jillson & Wilson 1994, pp. 77–78. ^ a b c d Gregory A. Stiverson, "Hanson, John, Jr.", American National Biography Online, February 2000. ^ H. James Henderson. "Boudinot, Elias", American National Biography Online, February 2000. ^ Jillson & Wilson 1994, pp. 76, 82. ^ Jillson & Wilson 1994, p. 81. ^ Sanders 1930, pp. 21–22. ^ Jillson & Wilson 1994, p. 76. ^ Jillson & Wilson 1994, p. 80. ^ Jillson & Wilson 1994, p. 78. ^ Jillson & Wilson 1994, p. 89. ^ Jillson & Wilson 1994, pp. 85–88. ^ John K. Alexander, "Mifflin, Thomas", American National Biography Online, February 2000. ^ Jillson & Wilson 1994, p. 87. ^ a b c d e f g Jillson & Wilson 1994, p. 88. ^ Sanders 1930, p. 29. ^ Sanders 1930, pp. 30–31. ^ Sanders 1930, p. 11. ^ Sanders 1930, pp. 11–12. ^ Fowler 1980, p. 191. ^ Fowler 1980, p. 199. ^ Fowler 1980, p. 230–31. ^ a b Burnett 1941, 503. ^ Burnett 1941, p. 524. ^ Burnett 1941, p. 34. Burnett, Edmund Cody (1941). The Continental Congress. New York City, New York: Norton. OCLC 1467233. Ellis, Richard J. (1999). Founding the American Presidency. Lanham, Maryland: Rowman & Littlefield. ISBN 0-8476-9499-2. OCLC 40856998. Fowler, William M., Jr. (1980). The Baron of Beacon Hill: A Biography of John Hancock. Boston: Houghton Mifflin. ISBN 0-395-27619-5. OCLC 5493800. Jillson, Calvin C.; Wilson, Rick K. (1994). Congressional Dynamics: Structure, Coordination, and Choice in the First American Congress, 1774–1789. Palo Alto, California: Stanford University Press. ISBN 0-8047-2293-5. OCLC 28963682. Morris, Richard B. (1987). The Forging of the Union, 1781–1789. New York City, New York: Harper & Row. ISBN 978-0060157333. OCLC 1005621076. Sanders, Jennings Bryans (1930). The Presidency of the Continental Congress, 1774-89: A Study in American Institutional History. Chicago. OCLC 492768915.